Employment withholding taxes make up over one-third of all revenues collected by the IRS. The collection and enforcement of withholding taxes is thus a major concern of the Government. Employers in need of cash, either to operate the business or to fund their owners’ lifestyles, frequently fail to collect and pay these taxes to the IRS. Sometimes third-party payroll tax companies abscond with the funds. This problem is serious and growing. As of the end of 2015, employers owed approximately $45.6 billion in unpaid employment taxes, penalties and interest. And nonpayment of withholding tax can cost the government double: since employees are credited for paying the tax withheld from their wages, an employee can get a refund of the income withholding tax his employer did not pay to the IRS. Few owners, officers and directors of businesses realize that not paying withholding taxes can become a serious problem personally. When the tax is not withheld and paid, the IRS not only comes down on the employer. It can also come down on the owners, directors and officers of the business, who can become personally liable for the unpaid withholding taxes. They can also end up going to jail. Any person required to collect, truthfully account for, and pay over any tax imposed by this title who willfully fails to collect such tax, or truthfully account for and pay over such tax … shall … be liable to a penalty equal to the total amount of the tax evaded, or not collected, or not accounted for and paid over. Any person required under this title to collect, account for, and pay over any tax imposed by this title who willfully fails to collect or truthfully account for and pay over such tax shall … be guilty of a felony… . For a number of years, there was a general belief that the willfulness element for purposes of criminal liability required evidence of “bad intent,” i.e., that the responsible person intended to defraud the government or used the unpaid taxes for personal gain instead of paying necessary and legitimate expenses of the business. In recent years, this belief has evaporated. As the Ninth Circuit Court of Appeals held several years ago in affirming a criminal conviction for not paying withholding tax, “if you know that you owe taxes and you do not pay them, you have acted willfully.” So the same action that can make a person personally liable for the unpaid tax can now end up putting her in jail. Where a business has failed to pay employment taxes, the IRS’s first step is to try to get the business to come current on filing returns and paying tax and to arrange to pay past due employment tax. If the business doesn’t do so, or closes its doors still owing withholding tax, the IRS will conduct an investigation to determine who among the business’ owners, directors and officers can be charged with a civil trust fund penalty. 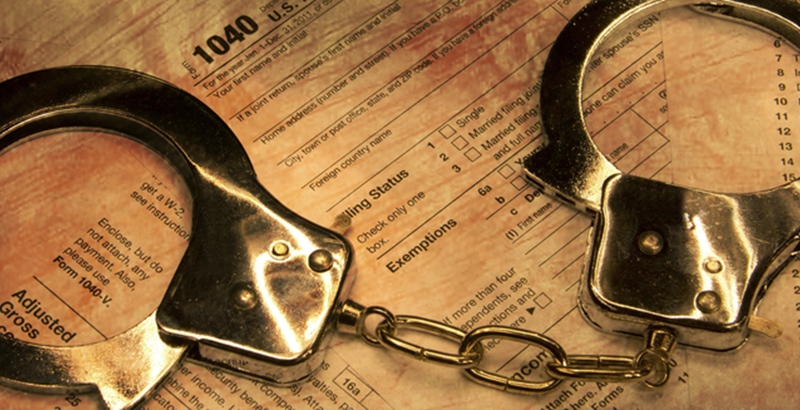 In a small but growing number of cases, the IRS will begin a criminal investigation. In determining whom to prosecute, the IRS focuses on business owners and managers who have racked up large withholding tax liabilities over several quarters and those who have operated a string of businesses that don’t pay withholding tax. The reported decisions and DOJ press releases for criminal convictions under sec. 7202 have one common element: the pyramiding of large amounts of unpaid payroll taxes over a number of taxable periods. Many of these cases also involve lavish spending by the defendant during the period the withholding tax was accruing, either through taking large salaries or through the payment of personal expenses directly by the business. But lavish spending is not necessary to transform a civil trust fund recovery penalty case into a criminal trust fund case. The Ninth Circuit has held that evidence that the funds were only used to pay legitimate business expenses is not a defense to a criminal withholding tax case. Some businesses prepare their own payroll tax returns and many use payroll tax services to compute payroll taxes and prepare their payroll tax returns. Nevertheless, as is often the case, the accountant has to be the first line of the defense for keeping the client out of trouble with the IRS. With the Tax Division’s new emphasis on criminal enforcement, it is important to get the word out to your clients that a failure to pay trust fund tax not only has civil ramifications but also can result in a criminal prosecution of the owners and officers of a business. While you can never advise a client that she will not become a criminal target as a result of a past violation, there is one thing you can advise the client: withhold the tax, pay it to the IRS and file accurate employment tax returns. 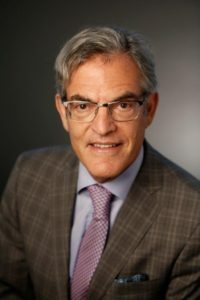 Robert Horwitz has over 35 years of experience as a tax attorney specializing in the representation of clients in civil and criminal tax cases, including civil audits and appeals, tax collection matters, criminal investigations, administrative hearings and in civil and criminal trials and appeals in federal and state courts. He has served as a member of the Executive Committee of the Taxation Section of the State Bar of California and is Chair of the Taxation Section for 2015-2016 year. He was previously Chair of the Tax Procedure and Litigation Committee of the State Bar Taxation Section.